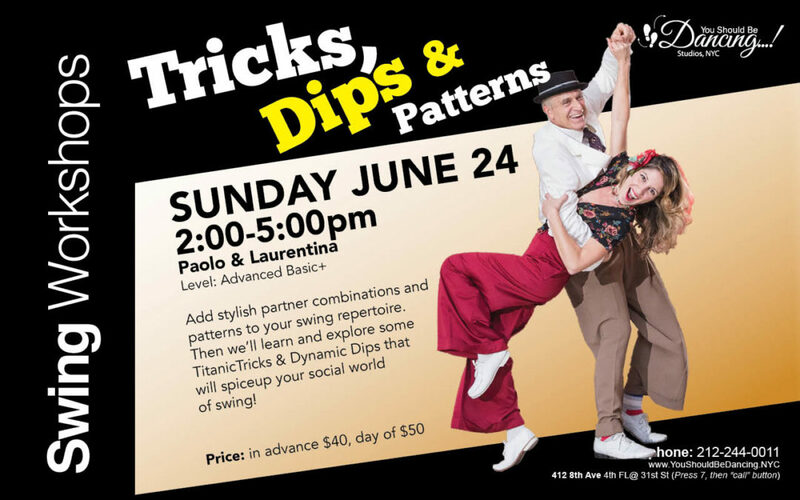 On June 24th, 2018, Paolo & Laurentina will present some dynamic dips and tantelizing tricks that can be incorporated into you swing. All levels welcome. A solid knowledge of Swing Basics is recommended.